Just so you know, I for one see the happy little tree. Excellent work. Makes a person want to go spend some quiet time... Any bears there? 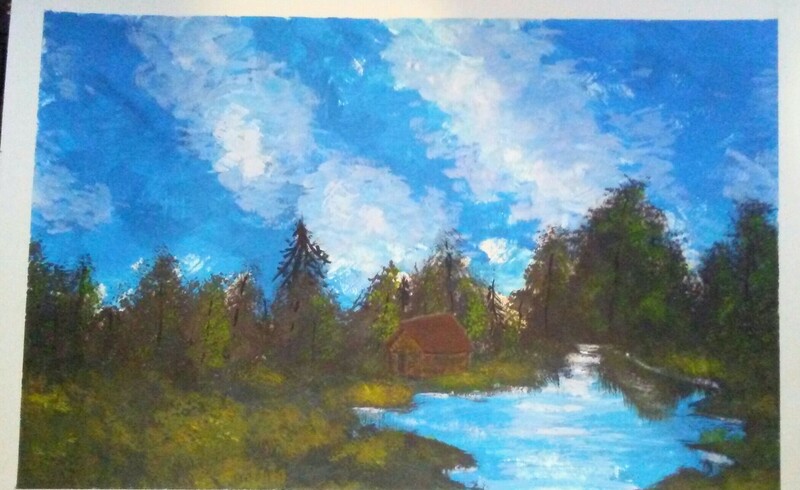 My first landscape in gouache. More than a bit muddy, but I'm happy with it. It's hanging up in my desk cubicle at school, now. You are a very talented artist, keep up the good work! Wow, neat! You guys are getting better! And I totes agree with Cassidy, hehe. More trees, greener!